Cocoa butter, also called theobroma oil, is the natural edible fat from the cocoa bean, extracted during the chocolate making process and separated from the cocoa mass by pressure. Cocoa butter has a characteristic sweet aroma and chocolate flavor. Cocoa is the only solid that melts in chocolate and its melting point coincides with the body temperature of mammals. Cacao Butter is used to make chocolate, and has six forms of crystalline polymorphism. It also has huge applications in the field of cosmetics as well as some pharmaceuticals. 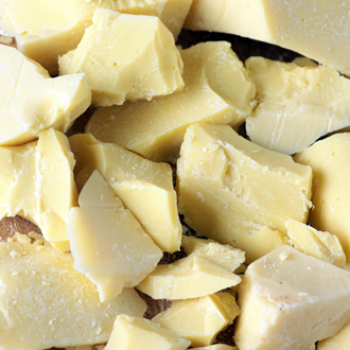 Cocoa butter also major ingredient in the production of both white chocolate and milk chocolate. This is tha main application of consumption of cocoa butter.